This option does not apply for HALF MAP design. First create a page and add content / images to it. Then install Reveal IDs plugin to see id easier or take the ID from edit page url. To see IDs easier you can install a special plugin. There are several to choose from. 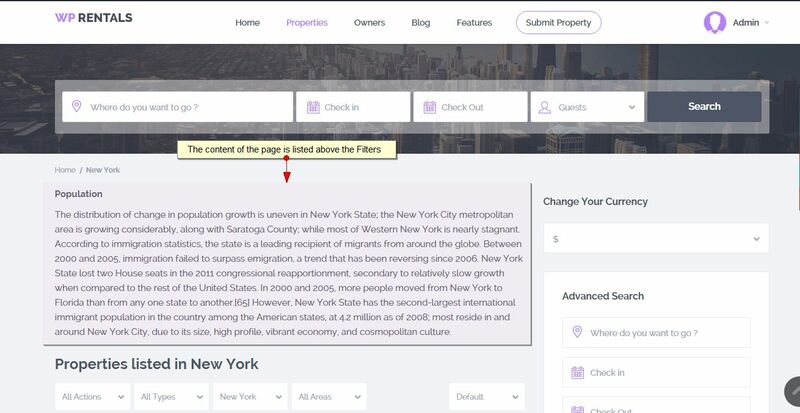 In taxonomy page the page content shows on top of the list of properties.